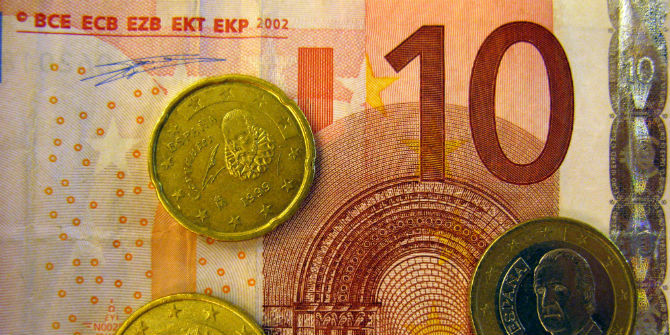 How much does Britain owe the EU? What are its legal obligations? Is the European Commission right to demand that the vexed issue of Britain’s ‘divorce bill’ is settled before trade talks can begin? 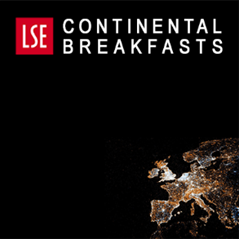 Britain’s financial obligations to the EU were the subject of the fifth Continental Breakfast discussion at the LSE – held under Chatham House rules, so participants can speak as freely as they wish. Sebastian Diessner (LSE) reports on the discussion: a longer report with full references is available here. Among all the thorny issues in the ongoing negotiations between the UK and the EU, the settlement of Britain’s residual financial obligation to the EU (often referred to as the UK’s ‘divorce bill’) is one of the most politically difficult. Unfortunately, under the terms of the European Commission negotiating team’s mandate, it is one of the issues – the others being the Irish border and reciprocal citizenship rights – that require ‘significant progress’ before negotiations can proceed on any other matters. What might at first seem a technical legal matter soon turns out to be connected to broader political and economic questions. The legal position of Britain’s financial obligations is a mixture of international law and provisions in the European treaties, and is dependent on the legal implications of different Brexit scenarios. In terms of international law (i.e. beyond the EU), the Vienna Convention on the Law of Treaties comes to the fore: Article 70 stipulates the consequences of the termination of a treaty. However, although most EU member states are a signatory to the Convention, there are no precedents in Europe regarding the use of Article 70, and there are additional doubts about whether EU member states could take recourse to the provision on behalf of the EU as a whole (which is, after all, a separate legal entity). More importantly, Article 70 itself specifies that these consequences do not come into play if “the treaty otherwise provides or the parties otherwise agree”, which seems to invoke the EU’s own provisions for the termination of membership – i.e. Article 50. Michael Waibel, however, notes that while Article 50 may allow for contracting out of the Vienna Convention’s procedural steps for terminating a Treaty, it does not necessarily enable the counterparties to contract out of all other provisions specified in the Convention, including other parts of Article 70. So the Convention may not be off the table entirely. Beyond this, Article 50 contains no direct reference to any “right, obligation or legal situation” of the parties involved (in contrast to the Vienna Convention) – let alone makes specific mention of financial obligations – which may be taken to imply that there is no particular obligation for the UK to pay. However, much may depend on whether a deal can be reached. Any conceivable no-deal scenario – either the parties not being able to agree on their divorce, transition and future relationship by 29 March 2019, or the UK walking out from negotiations before that date – would most certainly entail no bill: Article 50 simply contains no provisions for this scenario. In contrast, both of the potential versions of a Brexit agreement – i.e. an Article 50 deal with or without transition – leave room for discussion. In particular, clause 2 specifies that “(…) the Union shall negotiate and conclude an agreement with that State, setting out the arrangements for its withdrawal”, which might perhaps be interpreted as legally equivalent to the mention of “right, obligation or legal situation”, thus also circumscribing potential financial obligations to be honoured by the UK. A vital issue in these talks is the possibility of negotiating the three major elements of a Brexit deal – divorce, transition, future relationship – more in parallel (or, in other words, the extent to which talks on transition and future trade deal arrangements can be brought forward to earlier stages of negotiations). Article 50 makes clear reference to “taking account of the framework for its future relationship”, and some argue that any bridge or transition to a certain destination can only be envisaged given some clarity about what that destination will look like. Doubts were expressed about whether the Commission’s negotiation positions reflected this sufficiently. More generally, given a fairly short two-year window of opportunity for reaching a set of comprehensive agreements, its mandate may not be practical. This raised the paradoxical prospect of whether it would be possible for the UK to take the European Commission to the CJEU if its mandate were not deemed in line with EU Treaty provisions. Given the UK government’s objections to future involvement of the CJEU in UK affairs, however, this would to be politically awkward (to say the least). Another difficulty in the negotiating process is the fact that the Commission’s mandate is conferred by the European Council, and any views on its appropriateness and the flexibility of its provisions have to be directed to the governments of the EU-27 and not the Commission and its chief negotiator, Michel Barnier. Finally, an additional barrier to negotiating the interlocking stages of withdrawal in parallel are the important distinctions between the terms of their completion and ultimate ratification. While completing an Article 50 divorce deal will ‘only’ require a qualified majority of 72% of continuing EU member states (20 states) that represent at least 65% of the EU-27’s population, a deal on the future relationship between the EU and the UK as a third country legally constitutes a so-called ‘mixed agreement’, as specified in Articles 207, 217 and 218 TFEU. A mixed agreement requires not only the unanimous agreement of all 27 remaining EU member states and the consent of the European Parliament, but also the involvement of an even higher number of national and regional parliaments (currently at 38). Theresa May arguably conceded the status of the UK as a third country and the need for a mixed agreement in her Florence speech, suggesting that ‘such an agreement on the future partnership will require the appropriate legal ratification, which would take time’. The supposedly narrow question of the UK’s financial commitments and potential obligations to the EU seems impossible to disentangle from wider issues such as current and future trade opportunities, regulations, costs and prices. The focus on concrete, tangible sums – although without doubt significant and worthy of reflection and contestation – may mask wider debates about some of the more intangible aspects of the UK’s divorce and new relationship with the union. While the price tags attached to financial obligations or future savings from obsolete EU membership fees are directly measurable and visible, the prospective ‘costs of no deal’ are harder to pin down and allude to with confidence in political debates (not least given recent scepticism about the accuracy of forecasts or even the value of expert judgment altogether). Estimates of the expected bill diverge substantially in public debates and across political circles on both sides of the Channel. While the UK currently appears to be willing to offer €10bn per year during a possible transition period of a maximum of two years, many in the UK are still questioning whether and under what circumstances to pay at all. They point to the fact that membership organisations are based on the principle that members are only obliged to pay into the club for as long as they form part of it. By analogy, the pensions of club members, for example, would also be settled on a pay-as-you-go basis. Certainly, even if the issue of whether the UK should be paying at all is resolved – which the Florence speech seemed to settle – much room for disagreement about the overall obligations remains. Some estimate the obligations at €60bn or more (leaving aside more intricate accounting exercises such as offsetting the divorce bill against Britain’s share in EU assets). Unresolved questions include the UK’s called-up capital and equity share in the European Investment Bank, which it could be entitled to reclaim once it ceases to be a member of the EU. 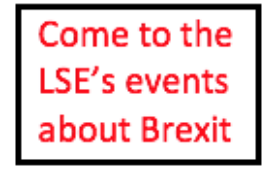 Furthermore, Britain and the EU may want to agree on the continued participation of the UK in a number of joint programmes such as Erasmus, which is open to non-EU member states. Realistically speaking, the final bill will probably range somewhere between the two extremes. The one thing on which many of those involved would agree is that if issues are interconnected and have to be negotiated under a tight schedule, a neat separation and sequencing of subjects may not always be feasible. The requirement to make sufficient progress on certain issues before anything else can be agreed may be a difficult path to pursue. And indeed progress on the most sensible way to settle Britain’s Brexit bills remains intractable. Thin pickings: what became of the ‘£350m’ Britain was to take back from the EU? Is there any precedent for withdrawing members paying an ‘exit bill’? I had a look in some textbooks on international institutional law and couldn’t find any – apart perhaps from financial organisations like the IMF. Andrew, many thanks for your comment, and for the useful sources. Maybe one difficulty here relates to the question whether the EU is an ordinary international organisation or whether its constitutional nature goes beyond that (being the only supranational union and thus considered ‘sui generis’ by some), which may complicate the search for precedents. Just a thought though. Doesn’t Article 50.3 have relevance here? So 2 years after Art.50 the treaties (which specify our rights and obligations) cease to apply, unless otherwise agreed. I have heard that even the Commission’s lawyers agree with this interpretation which is why the start of trade talks is being used as a lever in the exit bill negotiation. Many thanks, Duncan. The legal obligation to pay (and its enforcement) is indeed subject to debate, as noted in the report linked at the top of the blog post (which also briefly highlights discussions around the issue of ‘good faith’ in addition to the legal debate).